The LS Barge Pump is a high flow vertical self-contained pumping unit that efficiently handles relatively large volumes of liquids, including gasoline, fuel, oil and sea water during barge unloading and transfer operations. It features a primary self-priming first stage impeller and a pollution prevention design that accommodates a wide range of liquids used in today's industries. Applications Barge stripping / dewatering, Ballast operation, Transfer of petroleum distillates including: gasoline, fuel oils, light lubricants and some heavy oils (not to exceed 48 sCt (1,500 SSU)). 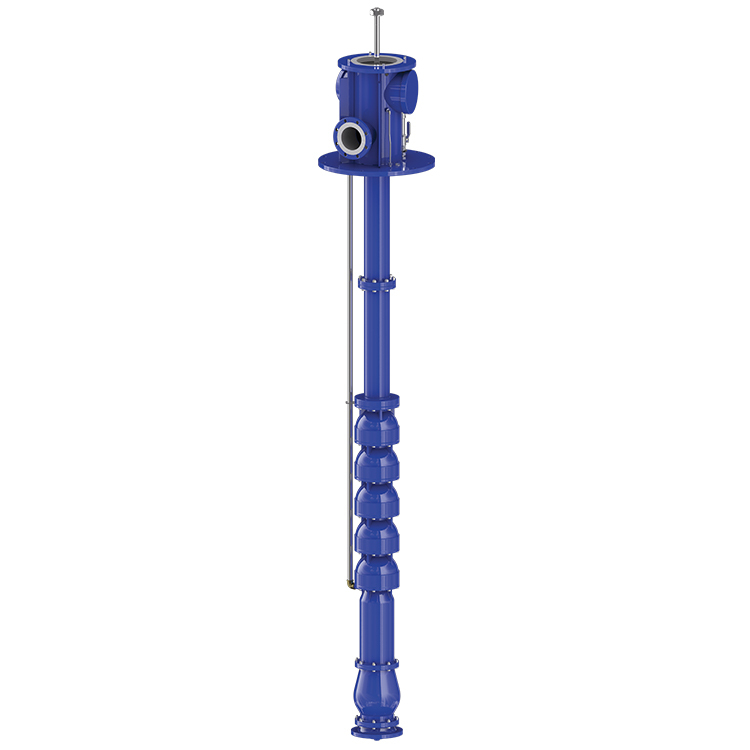 The LS Barge Pump can efficiently handle a relatively large volume of liquids. It is unique that the pump is arranged with a primary self-priming stage which, when sealed with liquid, operates as a vacuum pump for exhausting air or vapors from the suction line.